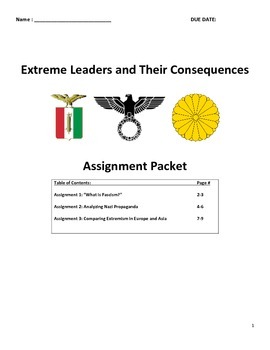 Resource includes three assignments that require students to analyze the rise of fascism and extreme nationalism in Germany, Italy, and Japan in the 1920s and 1930s. 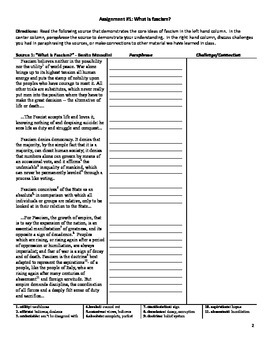 The first assignment includes primary sources about fascism with difficult words footnoted for struggling readers. 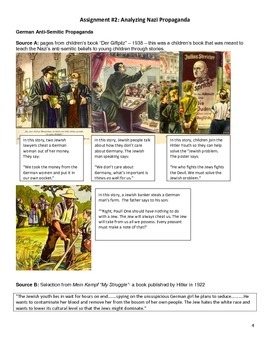 The second assignment includes examples of Nazi anti-Semitic propaganda for students to analyze. 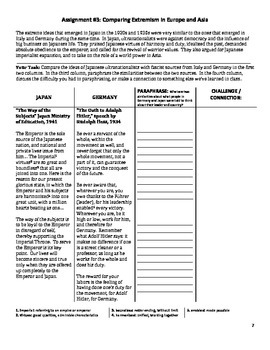 Finally, the last assignment has primary source from fascist Italy and Germany beside extreme nationalist sources from Japan so students can compare the two ideologies. Again, difficult words are footnoted for struggling readers.